Alistair and Jack are great. We shared the red carpet with them at the premiere and I have been waiting to see this interview since that night. And lol I think you can hear me interviewing Rob in the background oops. Anyway enough about me. Here’s David’s interview. Love it. 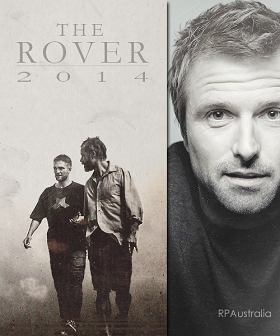 And head on over to Salty Popcorn for their honest and fantastic review about The Rover. Yeah I’m not biased at all. If you’re not following them on Twitter you should be! Posted in Sites / Blogs, The Rover, Video InterviewsTagged red carpet interview, saltypopcorn, The RoverBookmark the permalink.